Define the future of your company with accurate sales forecasts and opportunity tracking. 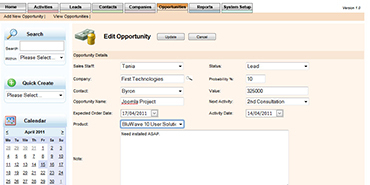 Our Opportunity Tracking feature helps you manage new business acquisition and track your sales progress. Define your own business process and benefit from sales forecasts that are automatically generated by our intelligent system. Lock down your own sales forecasting process by successfully tracking the progress of your sales pipeline. Generate a new business forecast based on expected order dates and sales probability percentages. See the progress of each individual salesperson with a pipeline visual on their homepage. Additional graphing on their dashboard will give you details of their progress against their target. Upload and link your tender or quote documents to each sales opportunity. Track conversion rates for opportunities and take corrective action based on past trends for lost deals. Want to know more about how you can capitalise on potential sales opportunities? 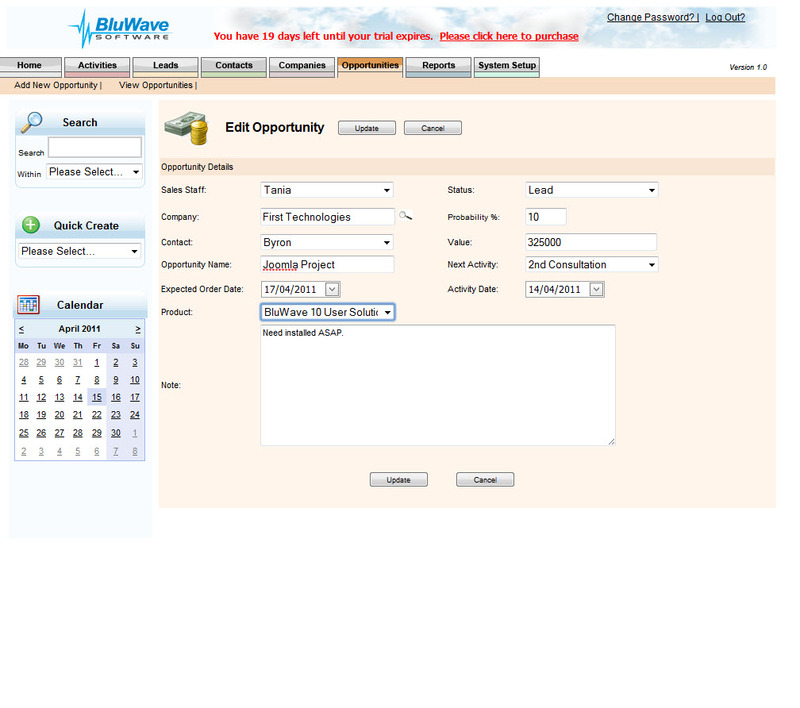 Contact us today to find out more about BluWave CRM.